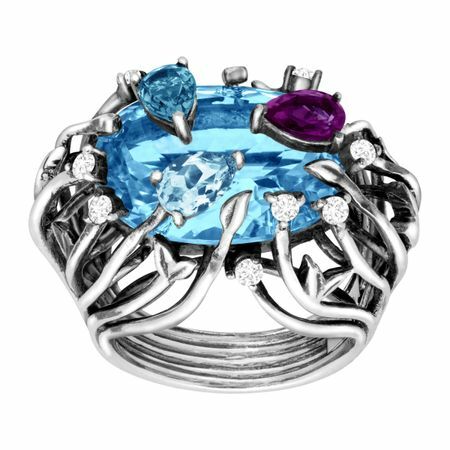 Get into the swing of things with this Iris Blossom Ring. This ring stacks faceted natural Swiss and London blue topaz and amethyst atop one another for a stunning prismatic appearance in an organic-inspired frame crafted in sterling silver. Ring face measures 1 by 3/4 inches.